A Lori Mitchell design for ESC Trading Company. Little Bat Boy Ben is part of Lori's trick or treat series. He is so cute, with that little exposed belly! 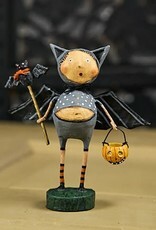 Dressed as a bat, he is also holding a bat on a stick and carrying a small pumpkin bucket! He has been waiting all year for Halloween night and is ready for trick or treating! 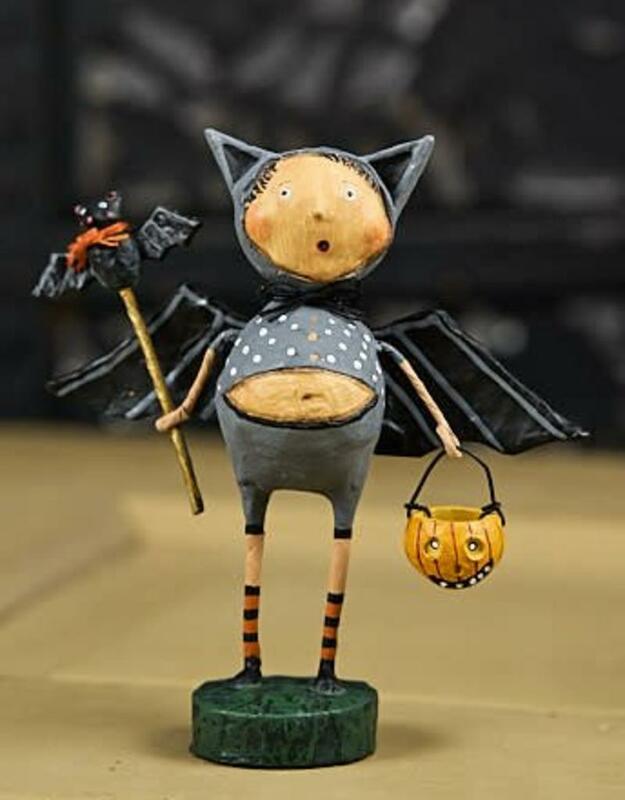 Collect all of Lori Mitchell's trick or treat figures for a great Halloween display! Makes a great gift too!